A blending of contemporary finishes and industrial styling broadens the appeal of the Piermont bath light from Quoizel. Chrome accents are juxtaposed with an Earth Black frame, adding depth to this transitional collection. 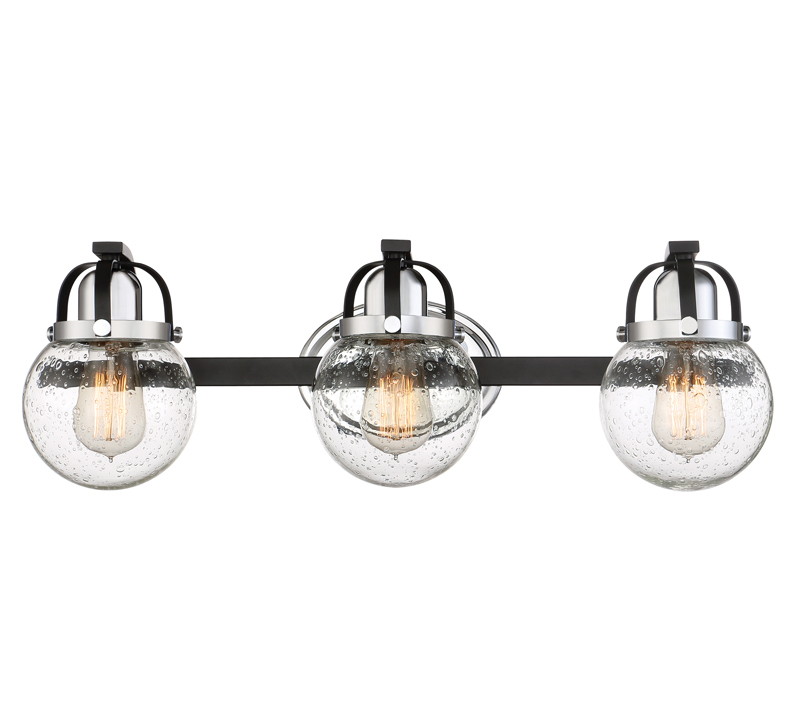 Details including three-armed brackets and decorative bolts provide visual interest, while seedy glass globes soften the mechanical feel of this light.